Within the discrete act of making one drawing, a second drawing is discarded; it's the shadow, the negative. It's the drawing that exists in the z axis, just above the page as the pen is lifted and moved into position for the next mark. I have created a tool to draw completely. Both drawings are made. A linkage of parallelograms allows the two pens to follow the same movements. A pivot at the front allows for the two pens to alternate making contact with the paper. 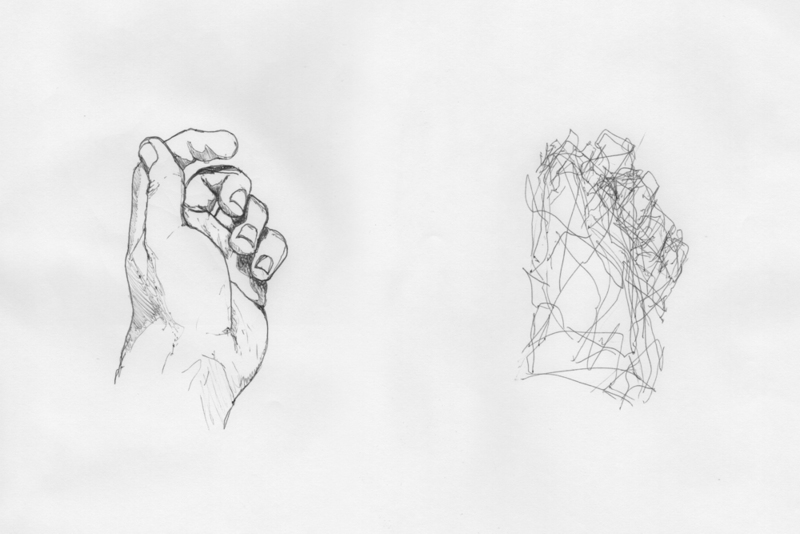 The subject of the drawings iterate on a theme: a hand conforming to the shape of an object. The object's only depiction is the displacement rendered upon the hand.